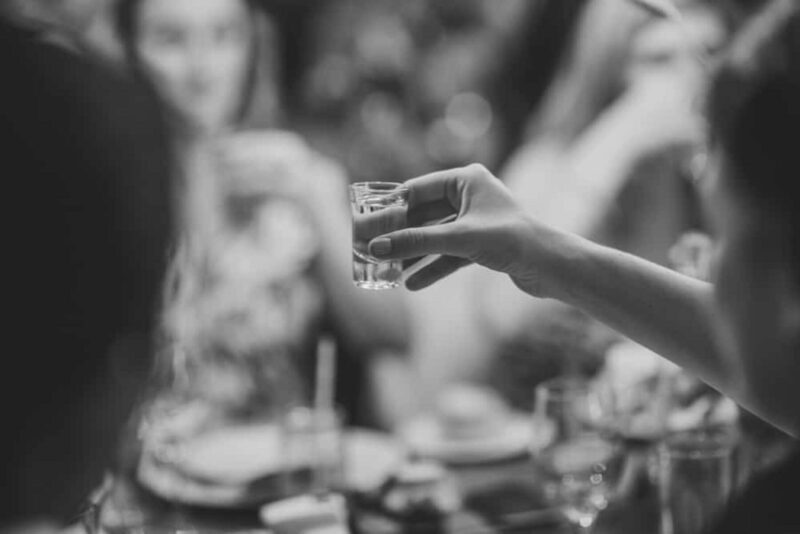 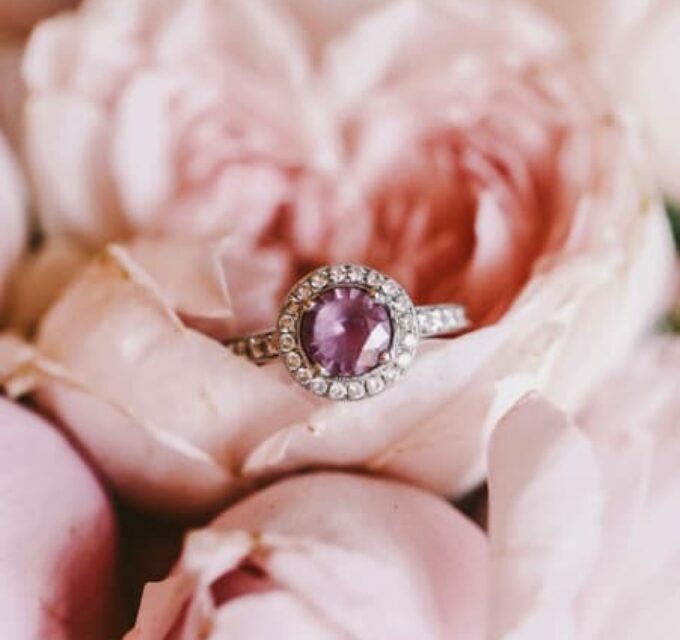 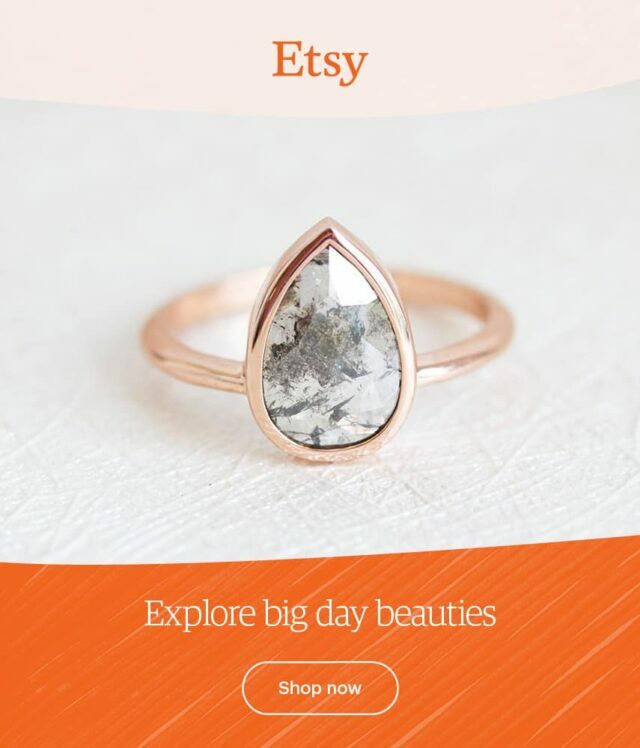 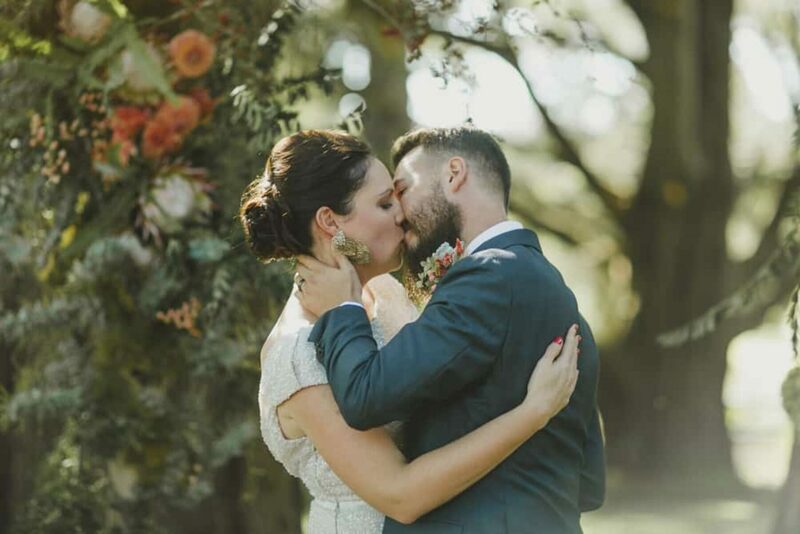 A 2am wake-up call and a hike up a Sri Lankan mountain in the rain wasn’t exactly Keeley’s idea of a romantic adventure – that is until Aleksei won her over with a spectacular diamond ring. 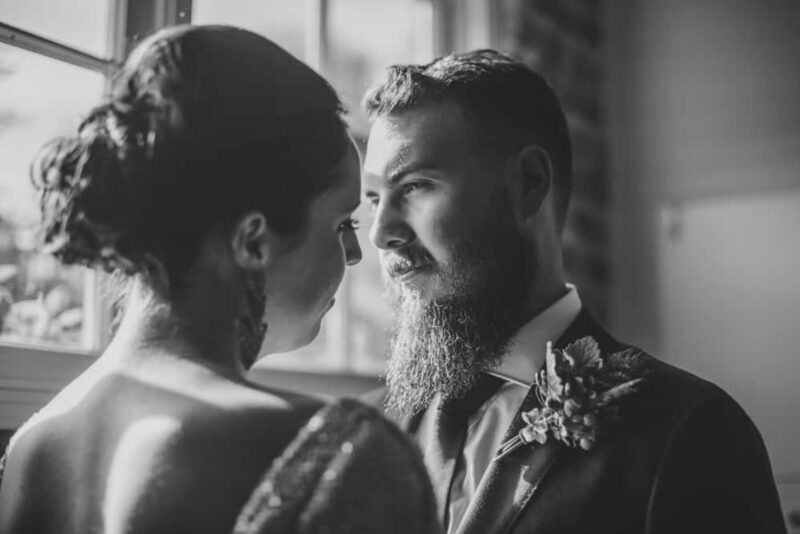 Smooth move Aleksei! 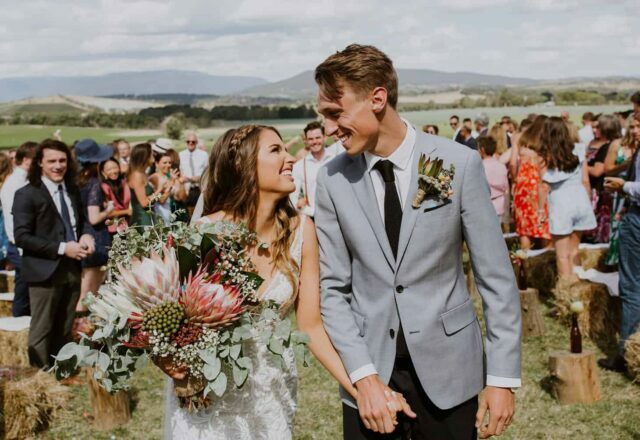 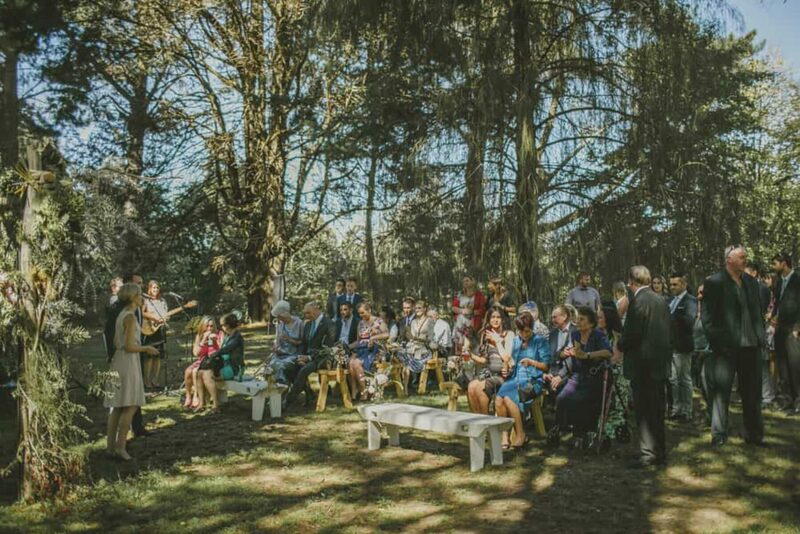 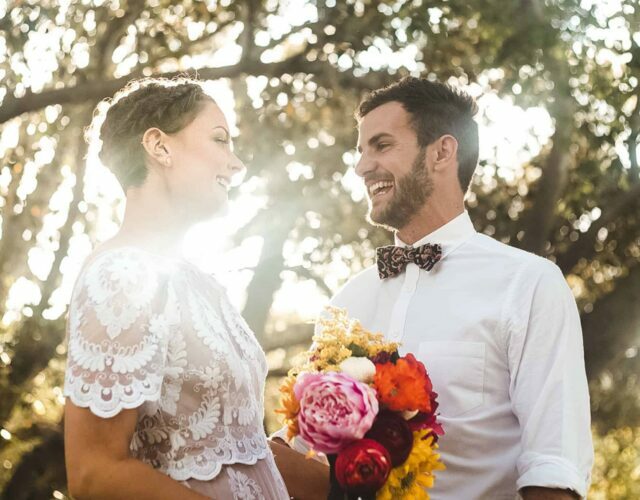 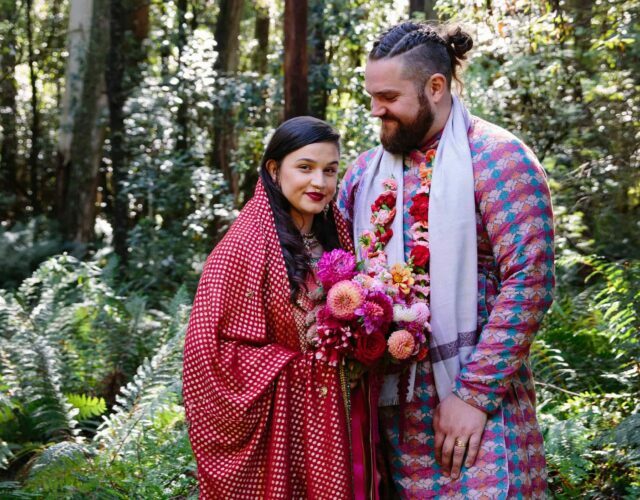 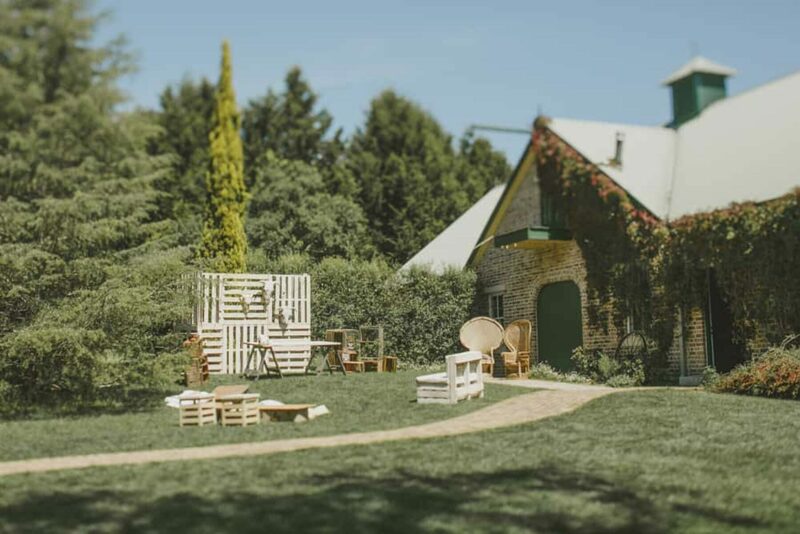 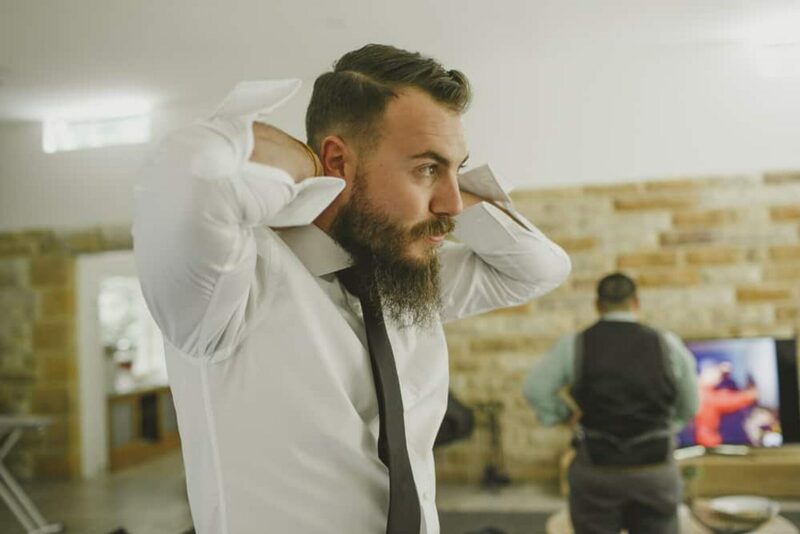 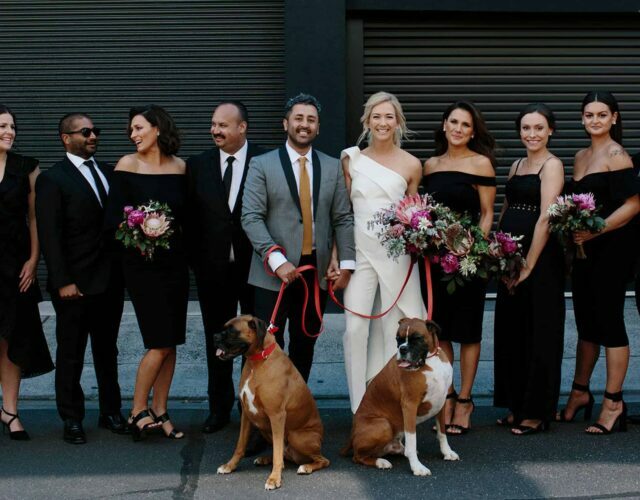 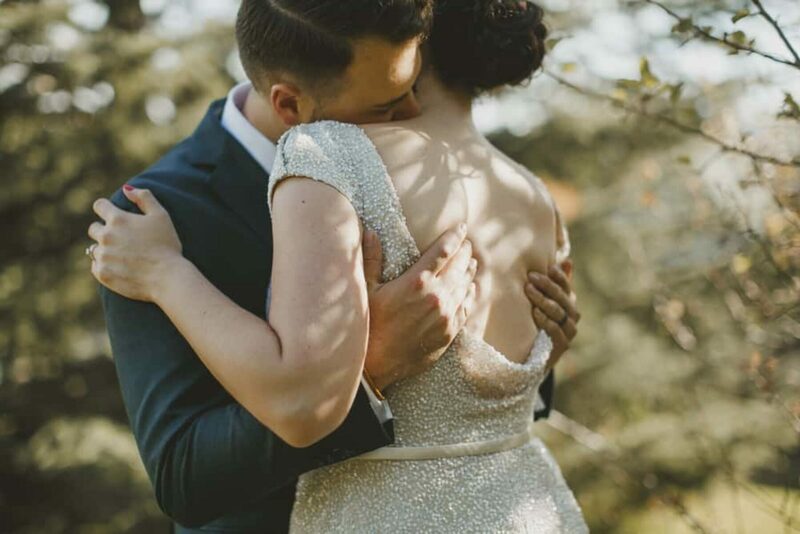 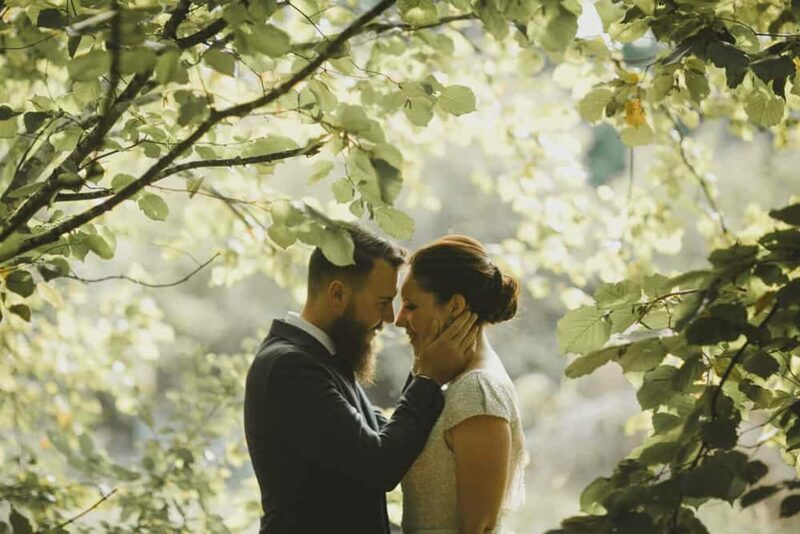 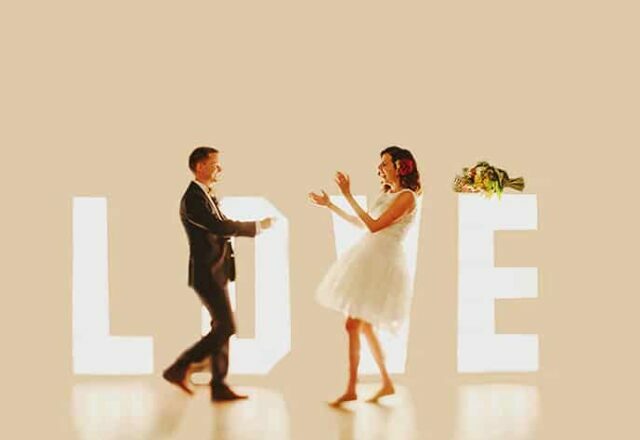 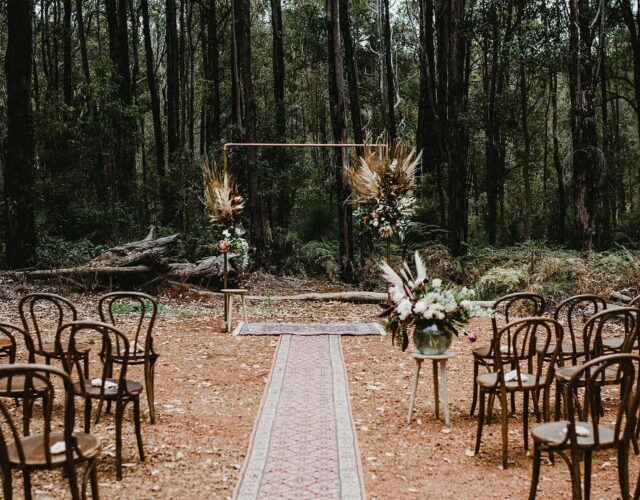 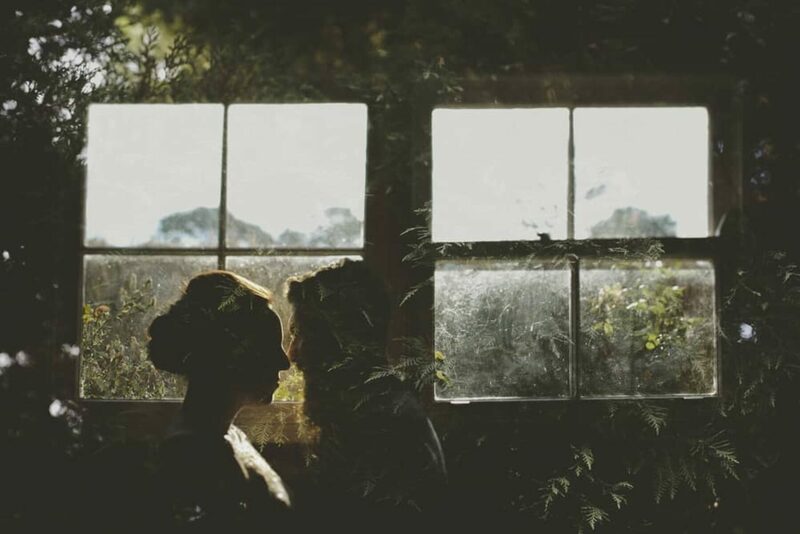 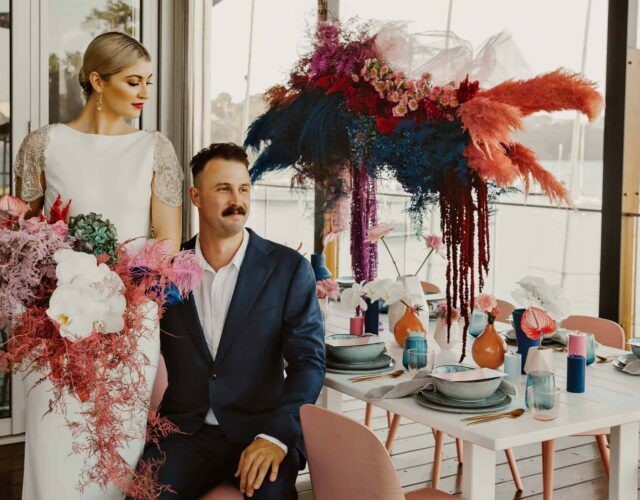 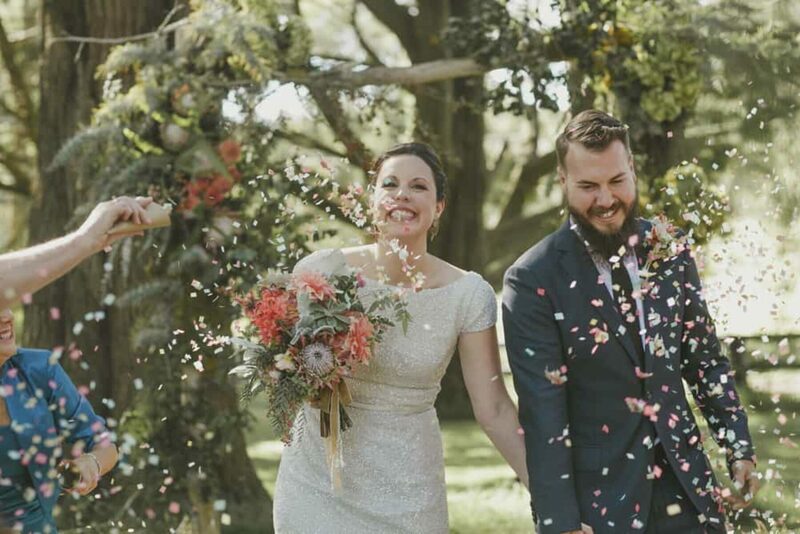 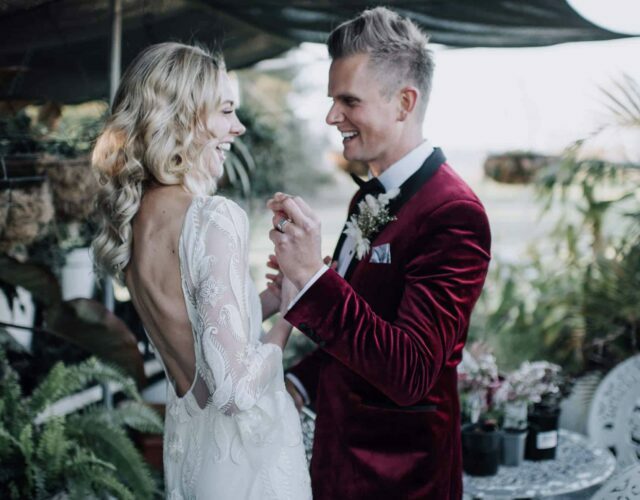 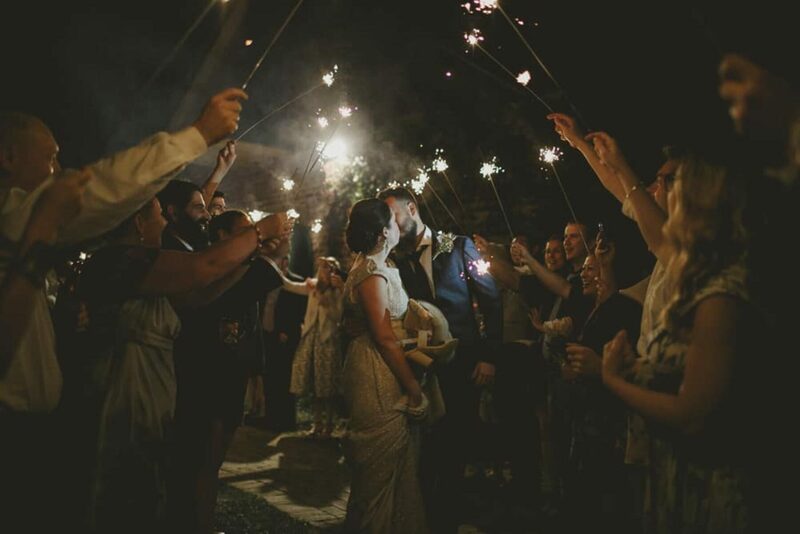 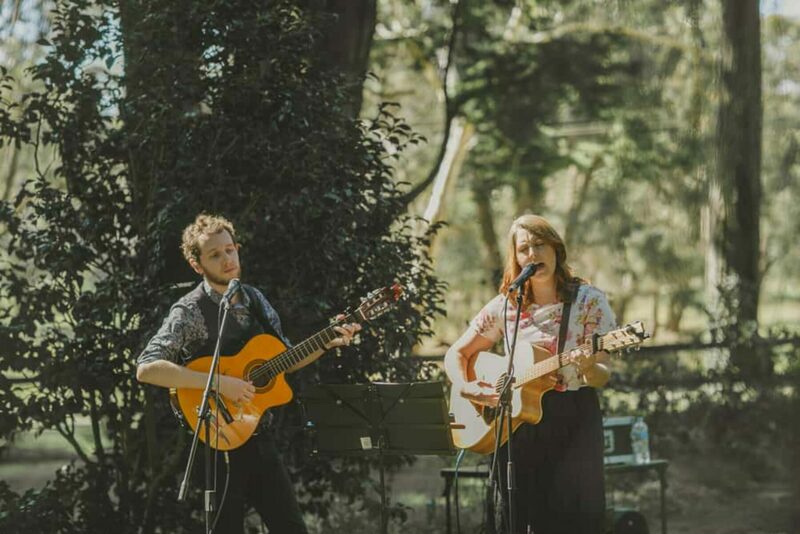 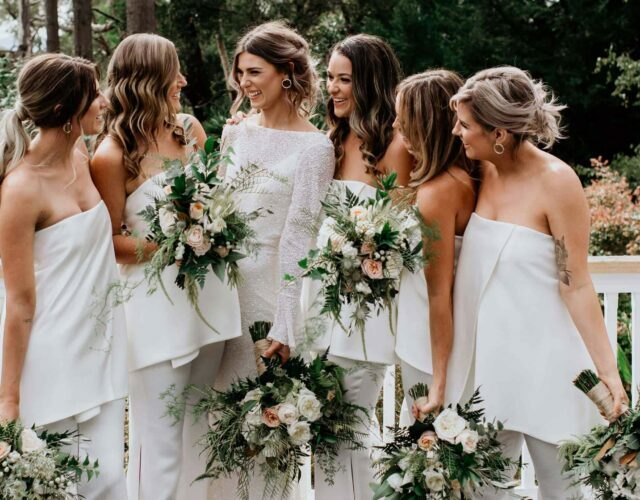 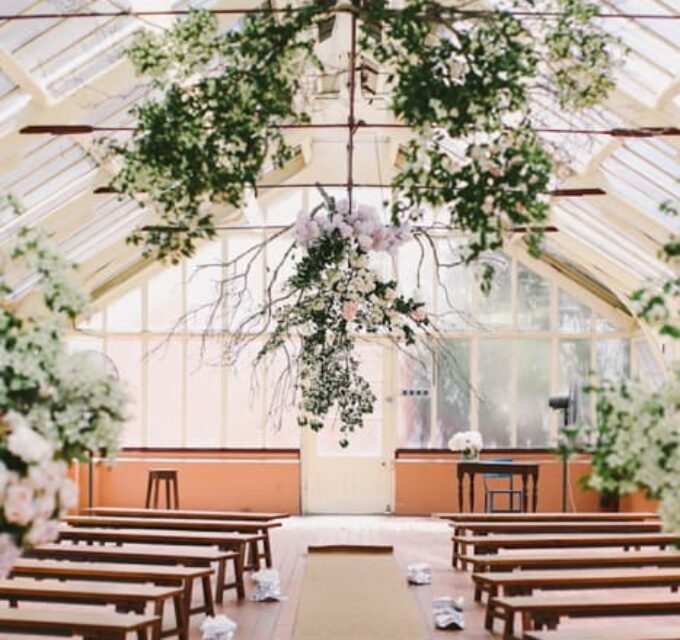 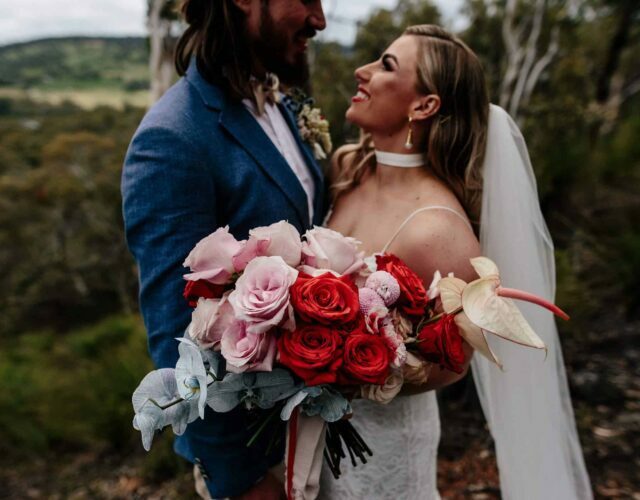 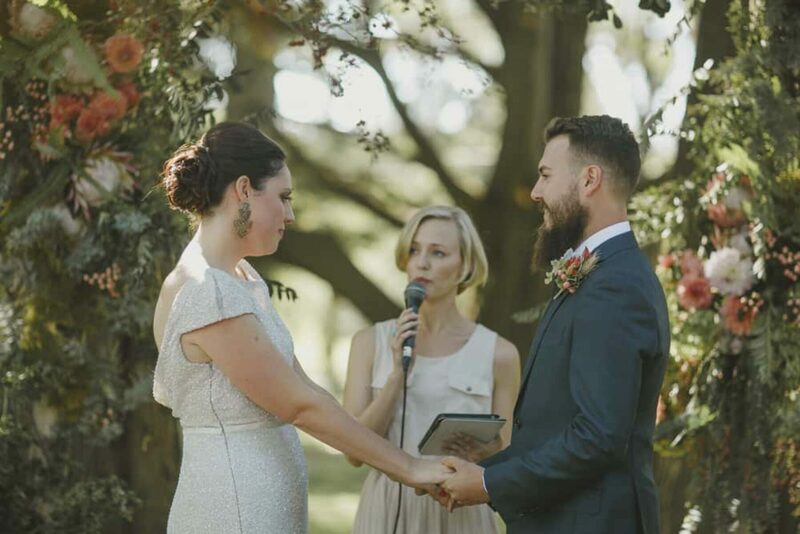 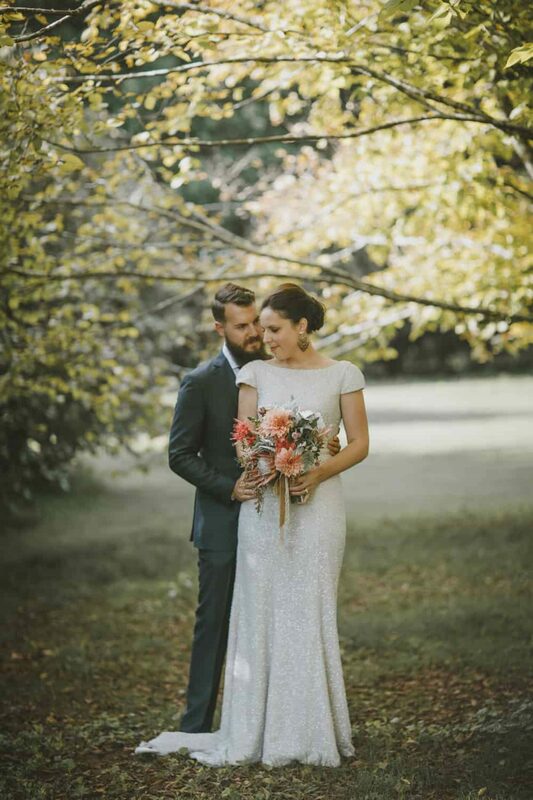 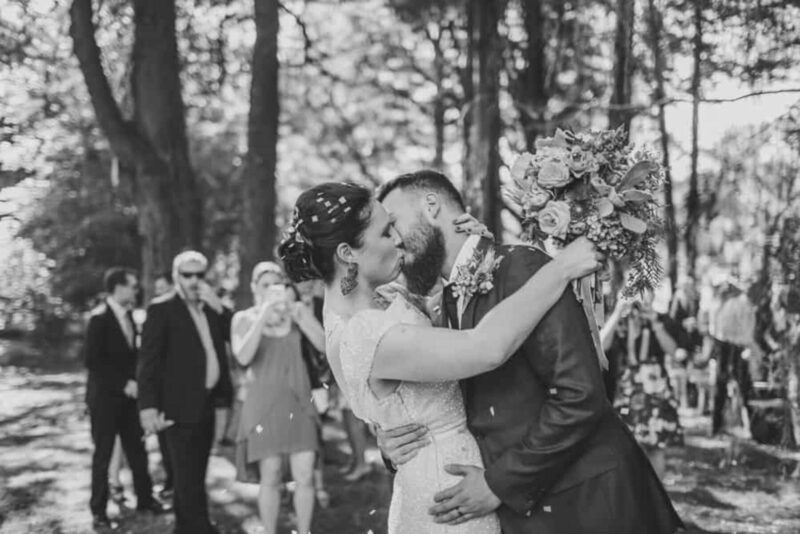 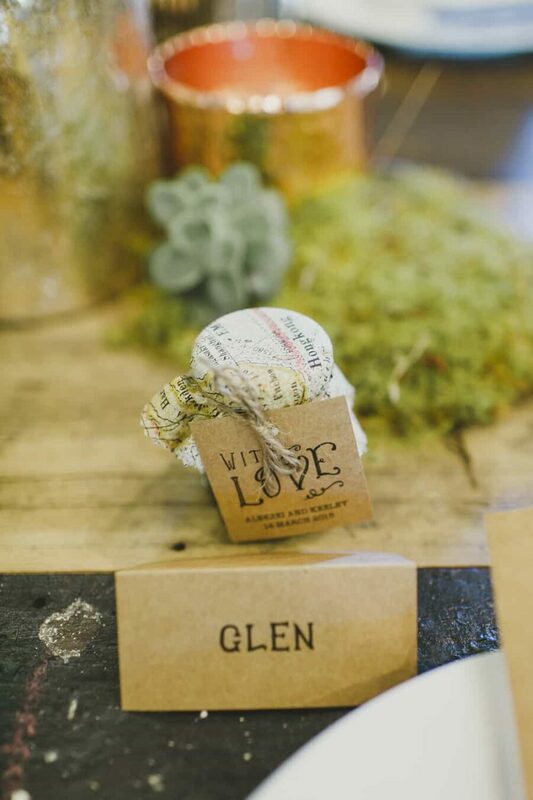 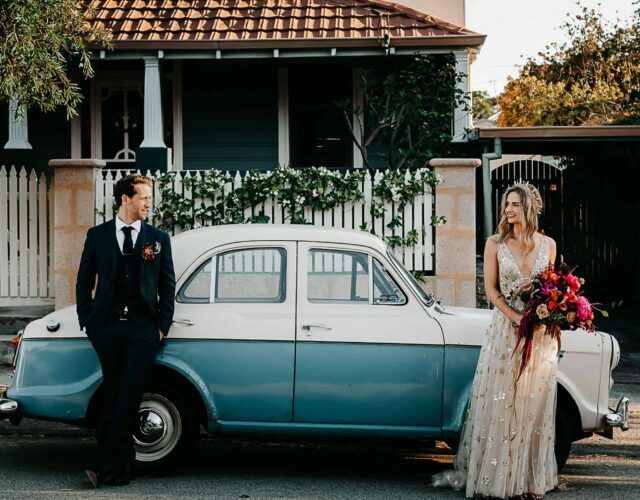 These sweethearts tied the knot in NSW’s Southern Highlands at Montrose Berry Farm and Nina Claire captured some stunning snaps of the day. 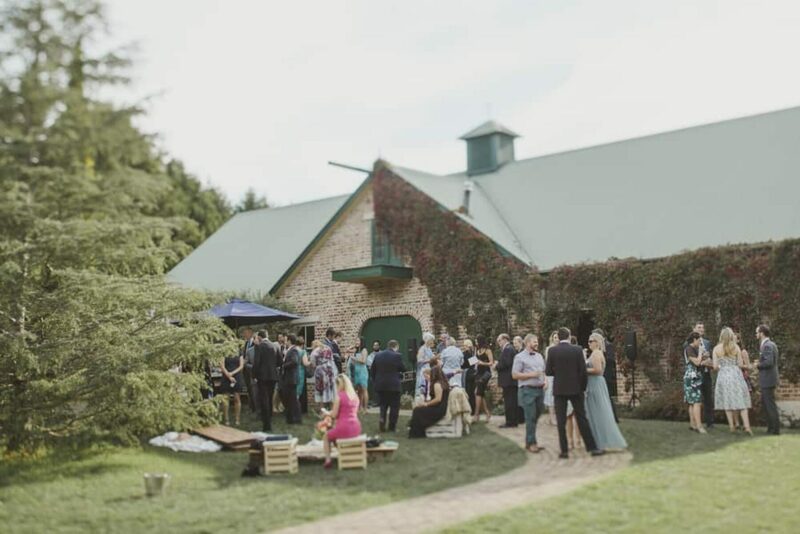 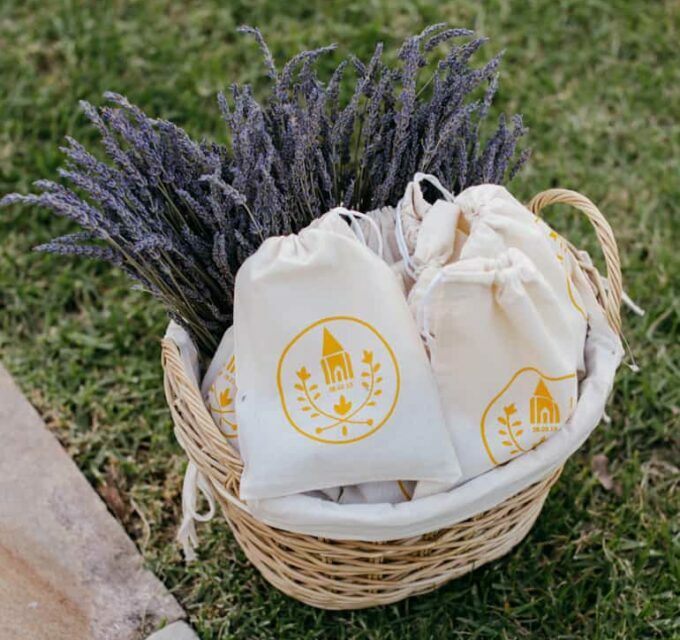 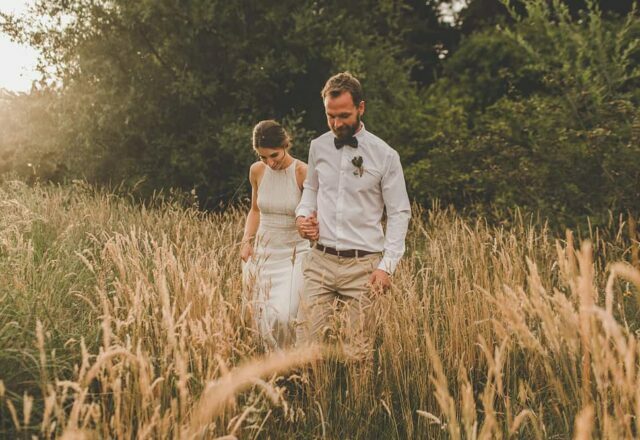 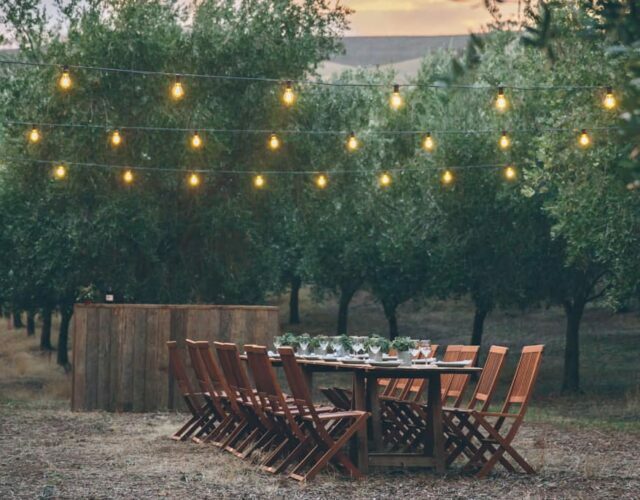 They had originally planned to have the entire day outdoors, until a last minute change meant saw them holding the reception in the onsite barn. 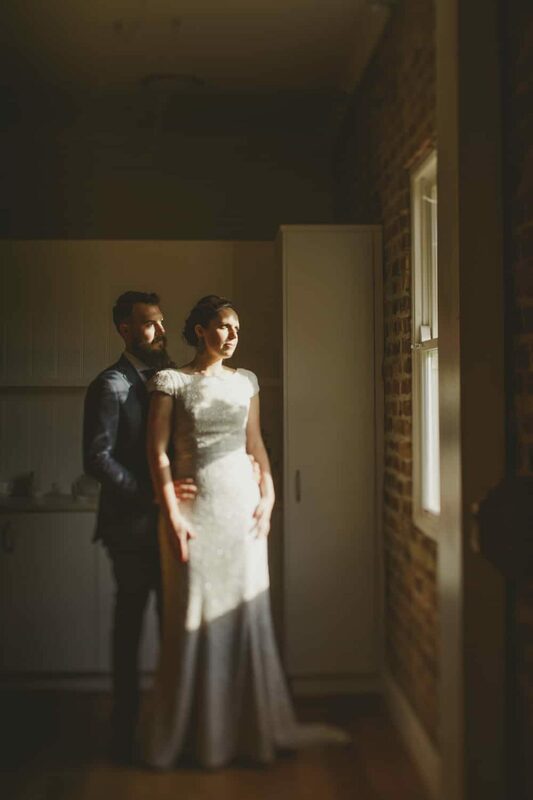 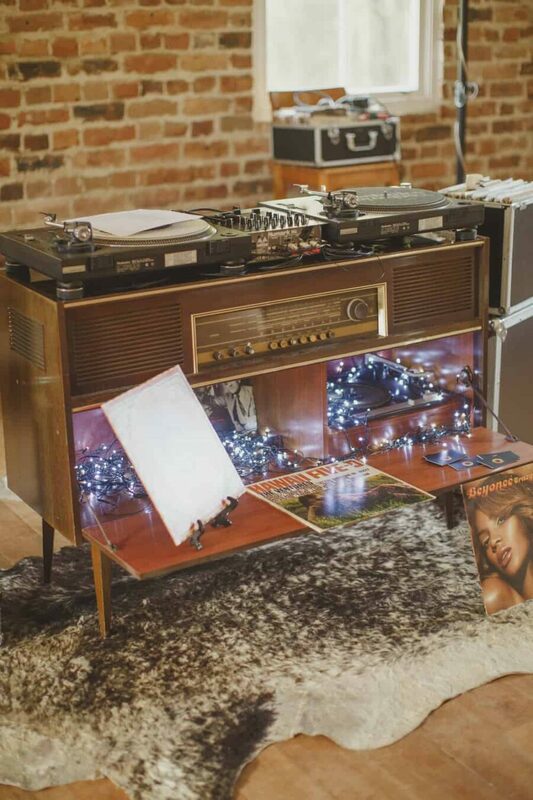 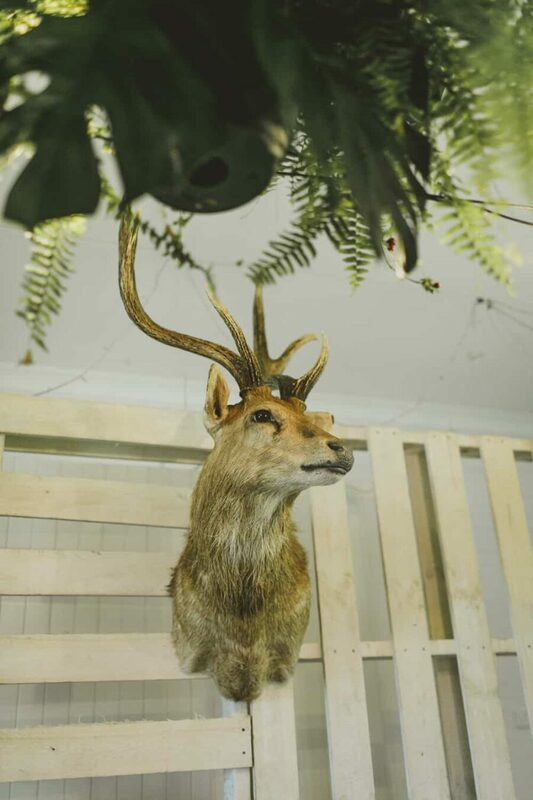 This cool couple took it in their stride and decided to bring the outdoors in. 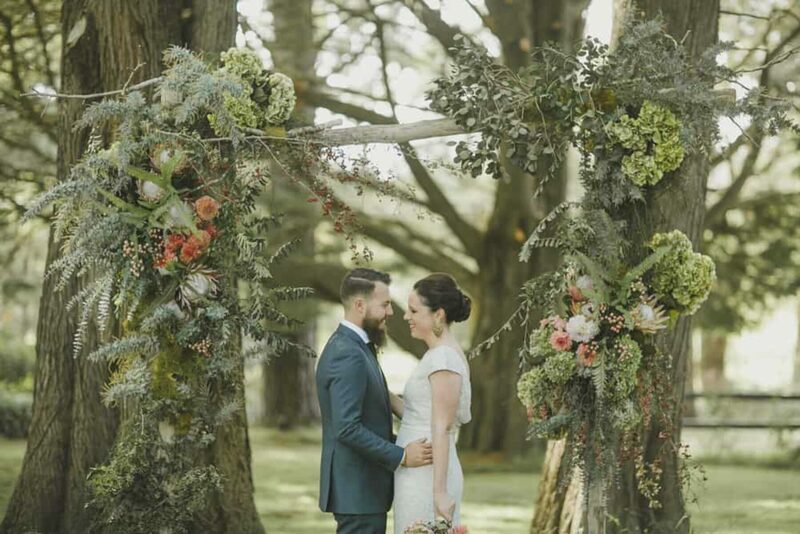 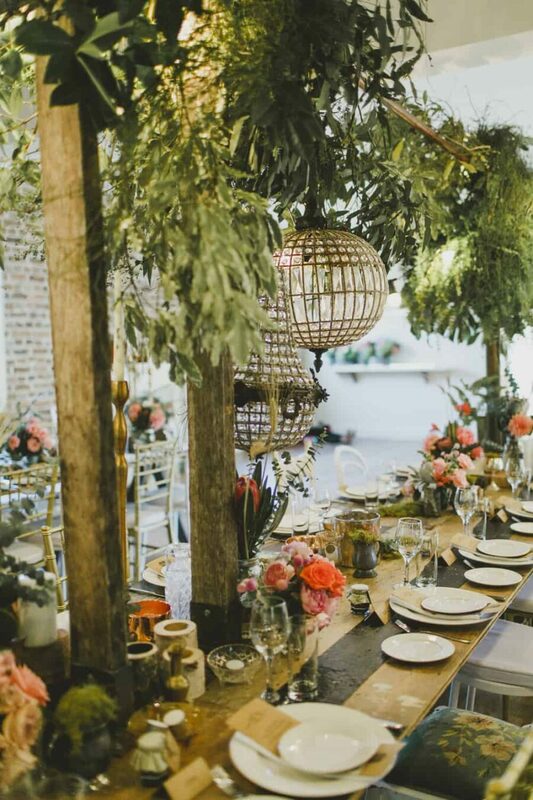 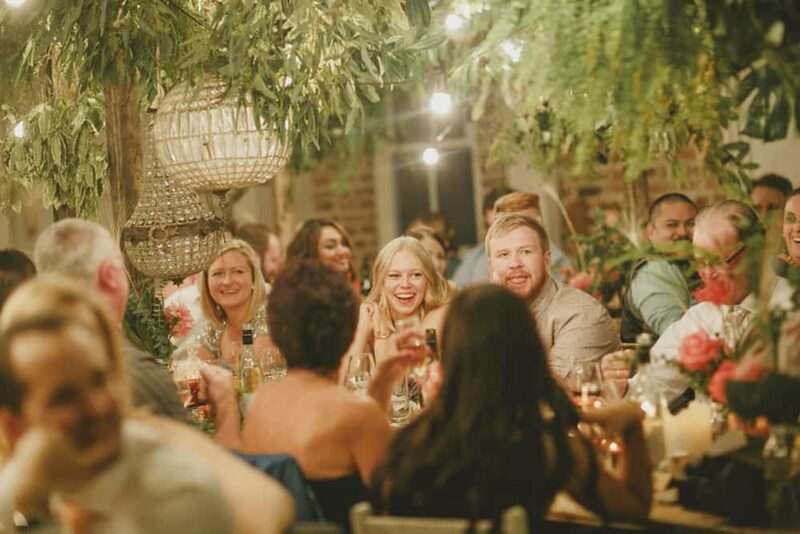 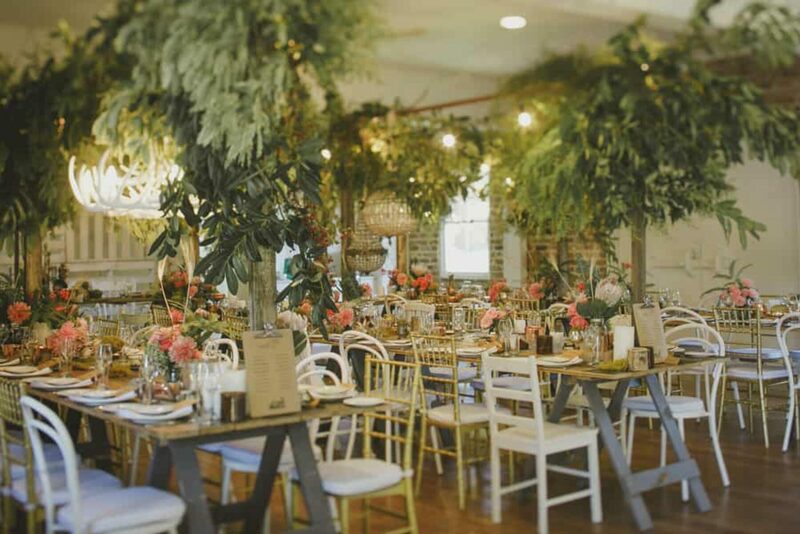 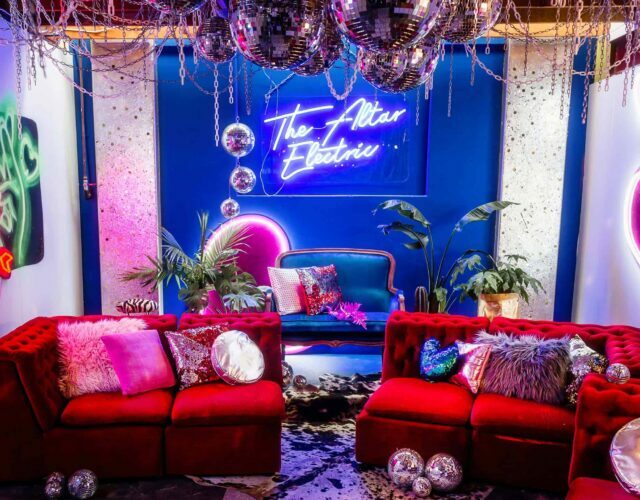 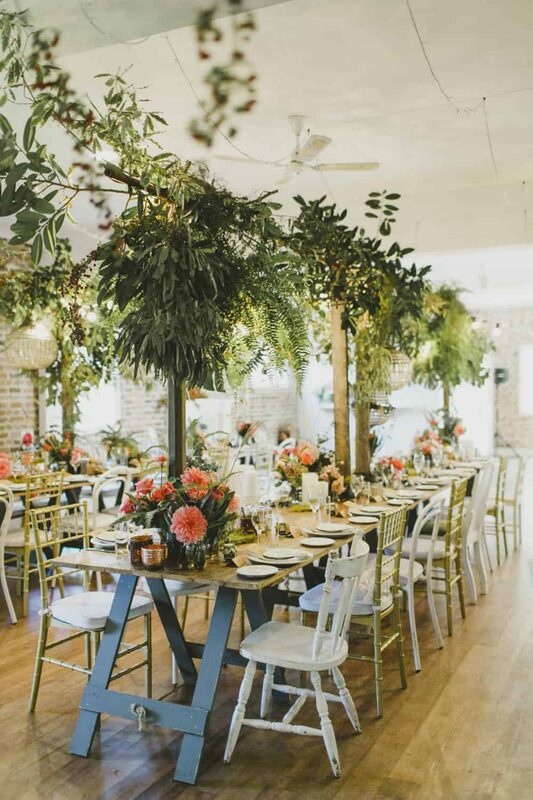 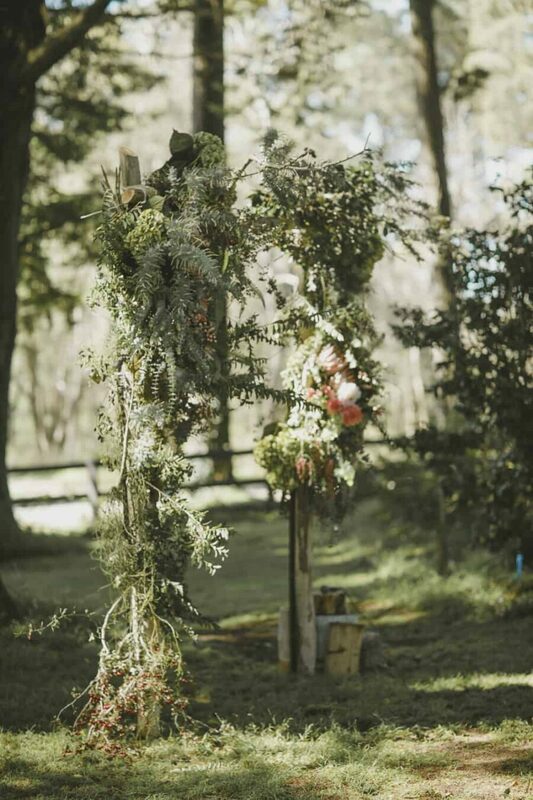 Working closely with their florist Mikarla Bauer and stylist She Designs, they created a foliage heavy canopy using vines, ferns and native wildflowers and it proved to be quite a hit, “More than a few guests told us afterwards that they felt like they were in ‘A Midsummer Night’s Dream’!” Keeley laughs. 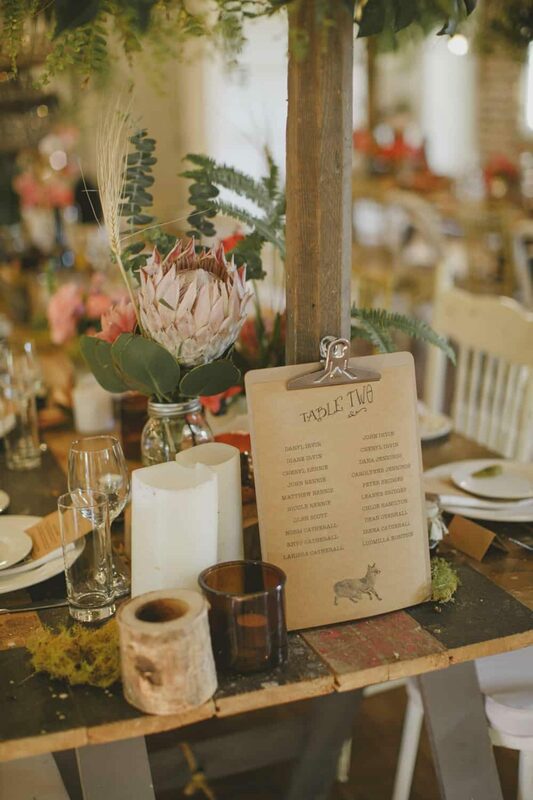 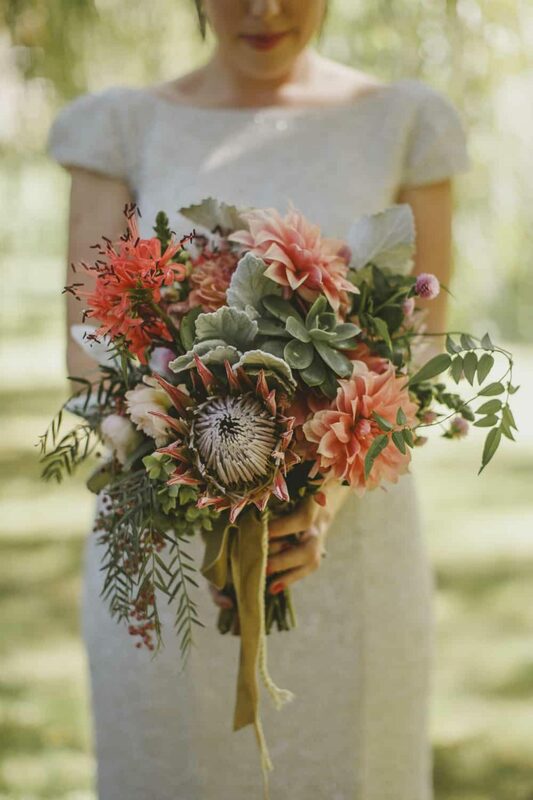 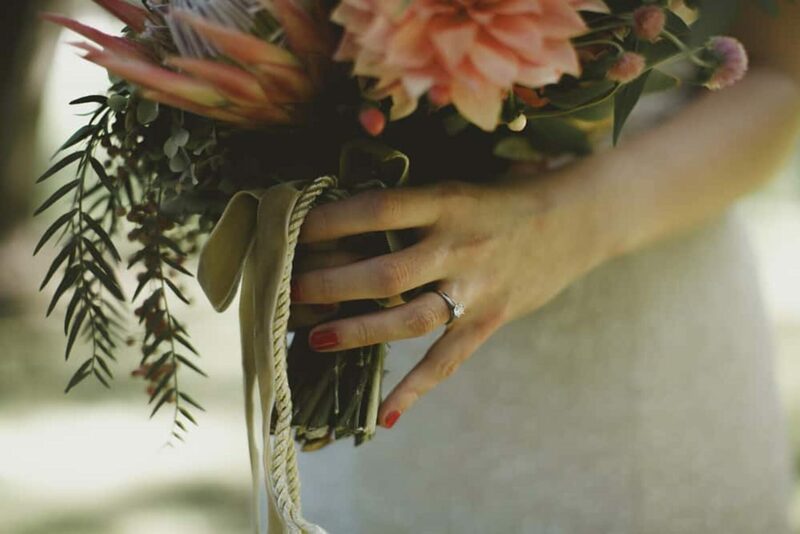 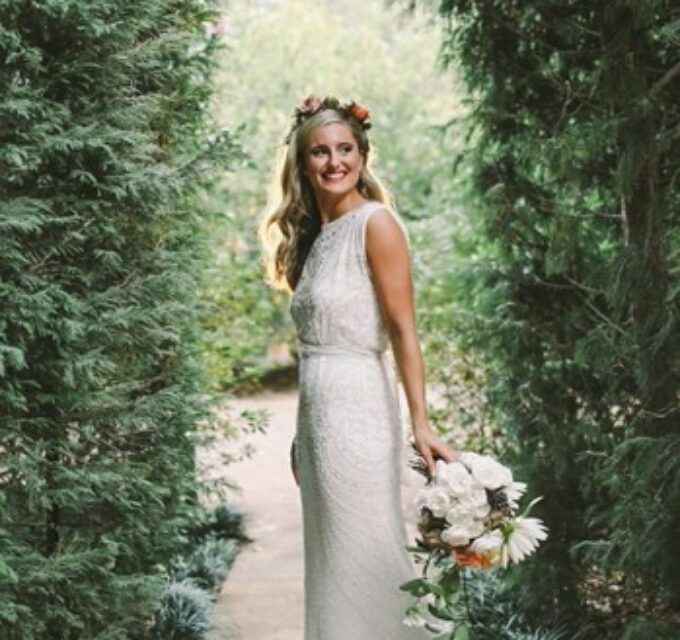 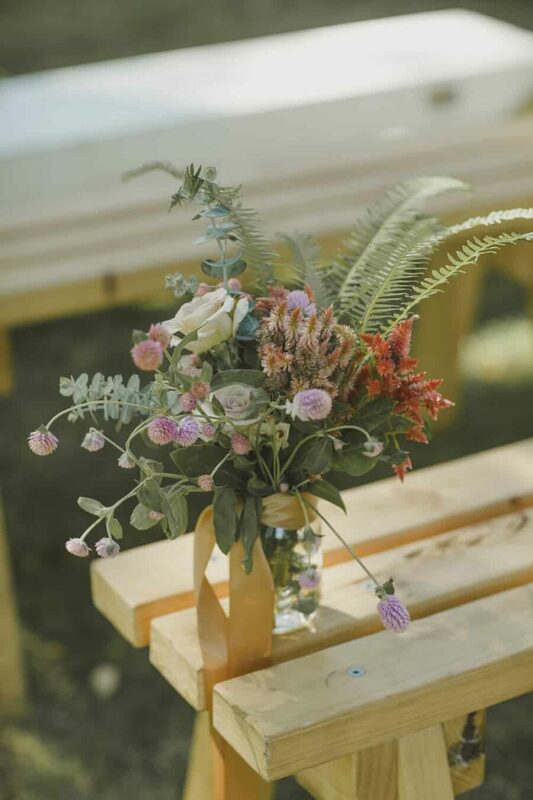 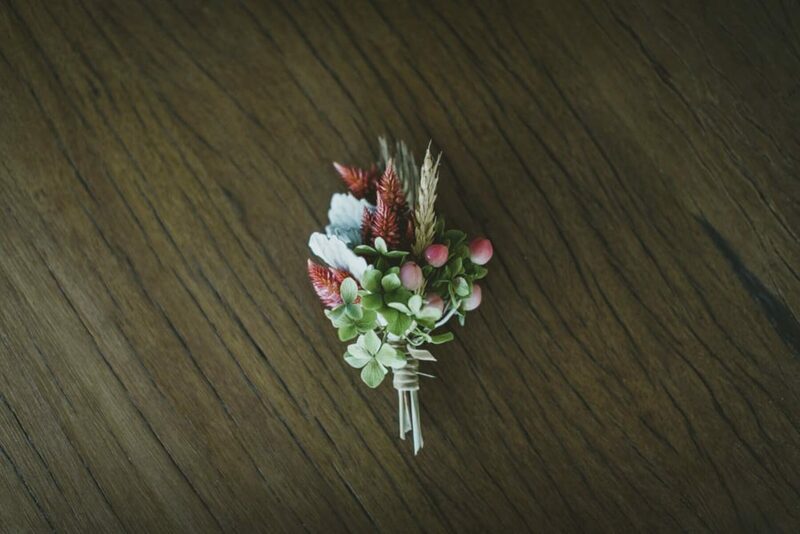 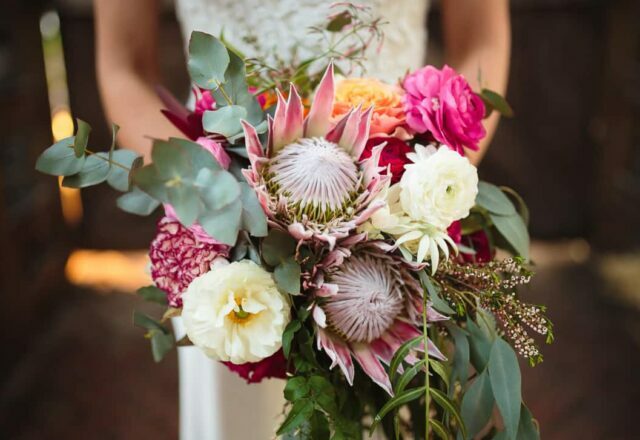 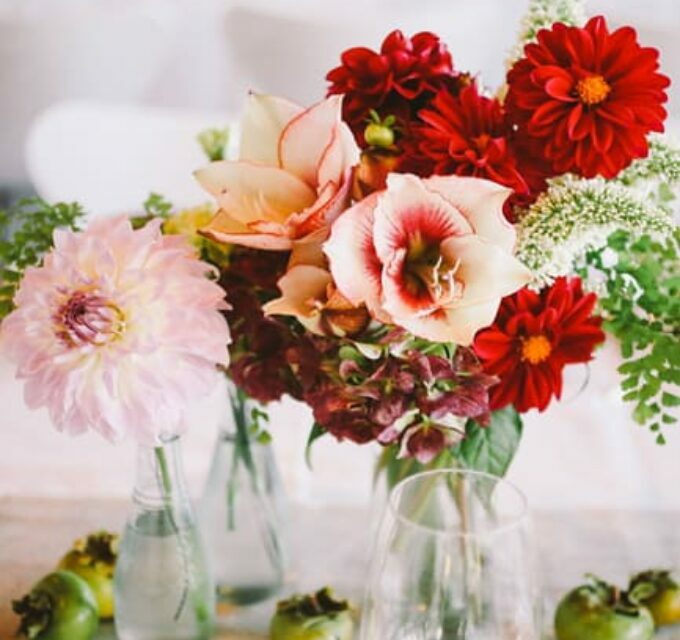 Kelly opted for a warm toned bouquet of protea and gorgeous dahlias, expertly crafted by Mikarla Bauer. 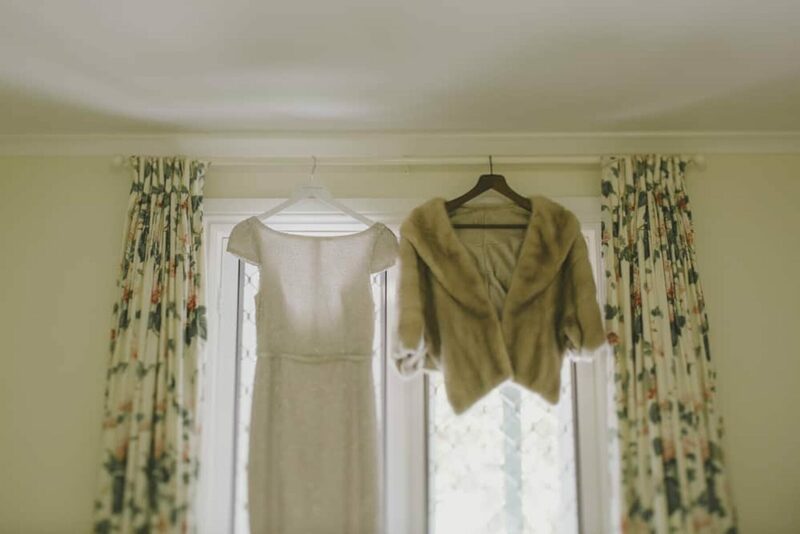 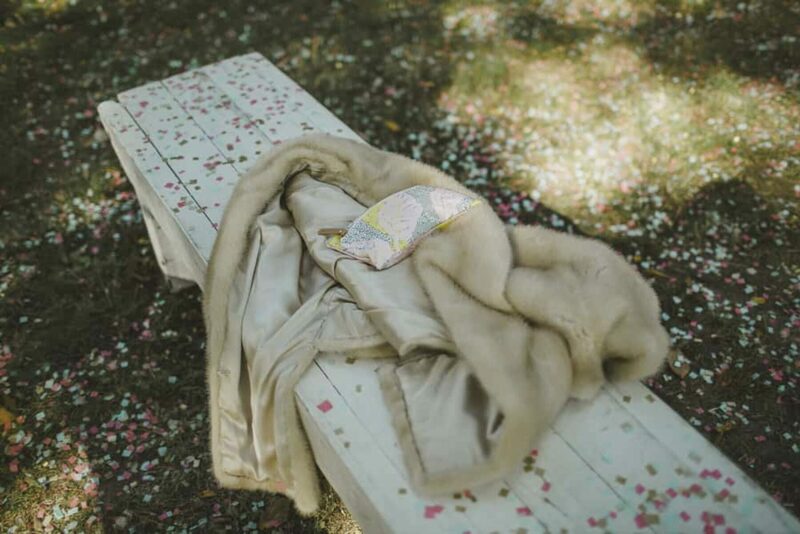 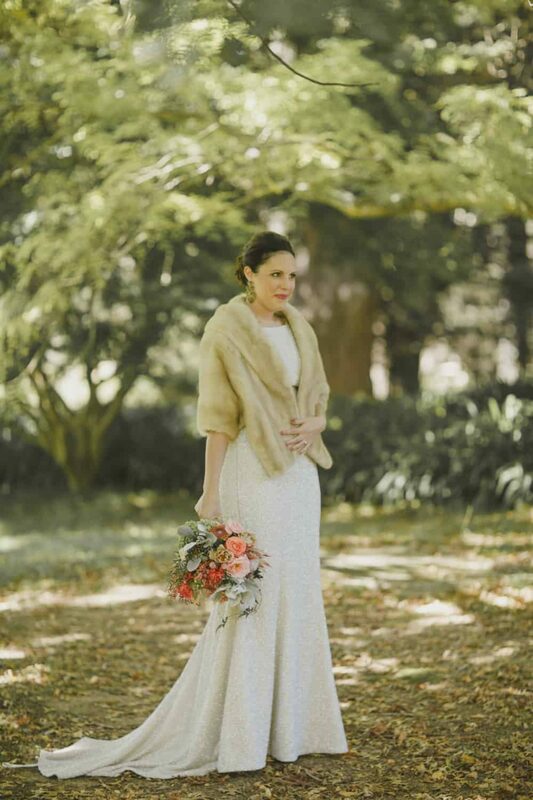 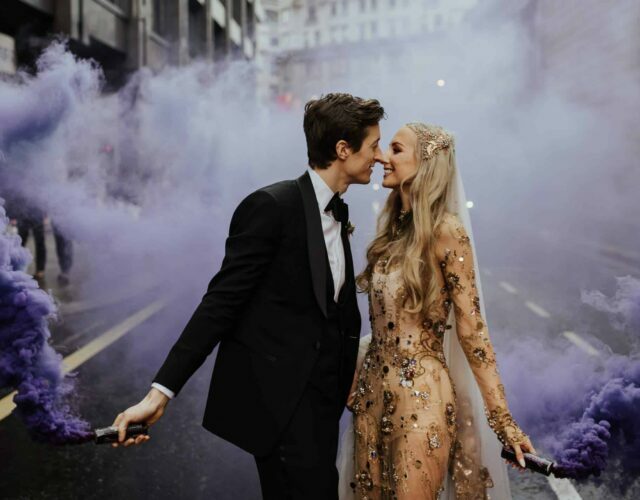 This bride was the epitome of old Hollywood glamour in her backless, Suzanne Harward sequined gown, with a luxurious vintage fur cape thrown over her shoulders for good measure! 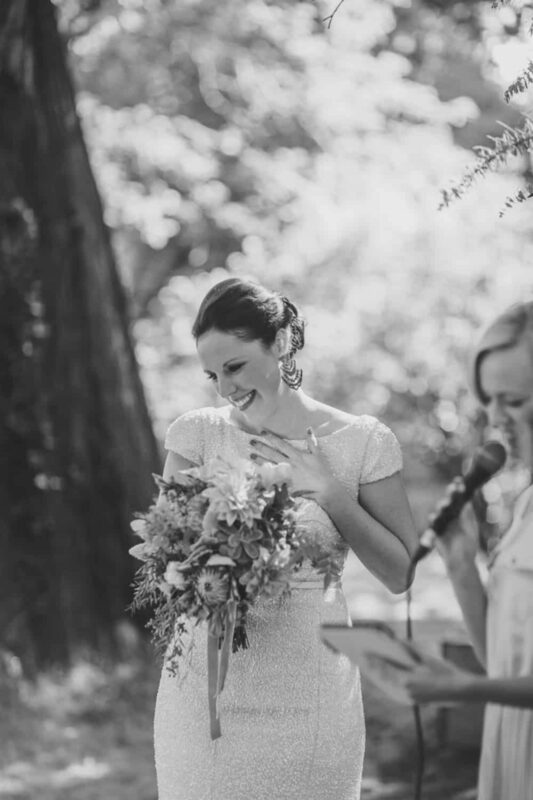 Keeley traversed the aisle to New Order's 'Ceremony' and the pair signed the marriage certificate to 'I Feel It All' by Feist. 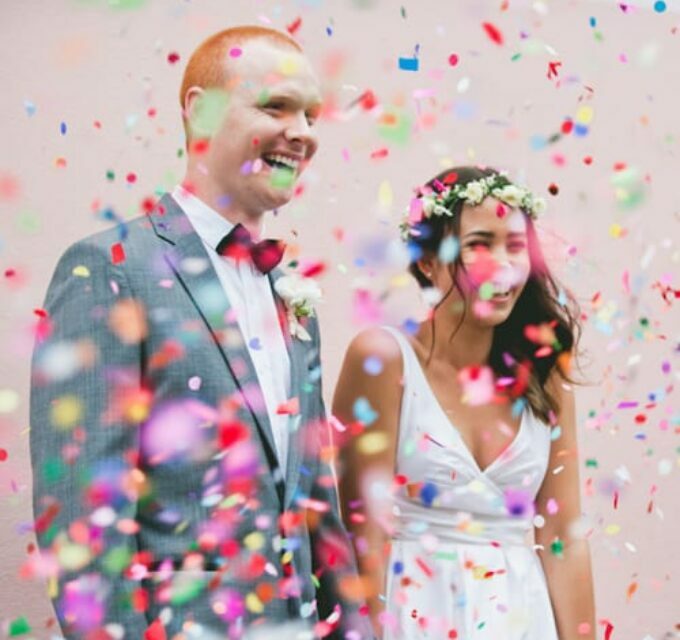 Under a shower a shower of confetti, the two exited to 'Mountain Sound' by Of Monsters and Men - all performed live by acoustic duo, The Sweet Little Arm. 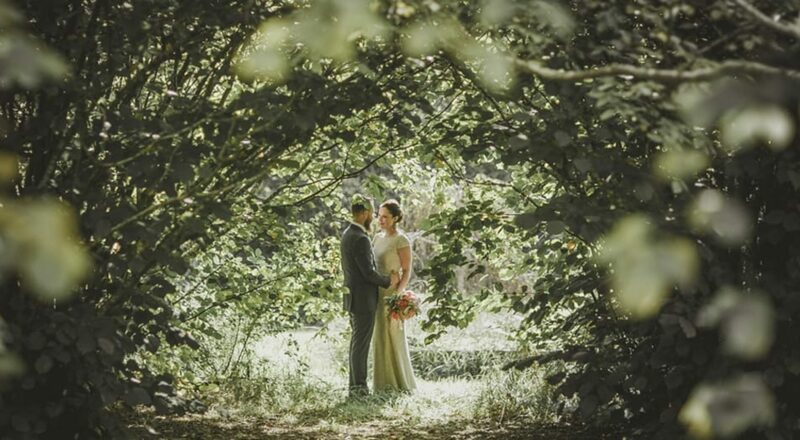 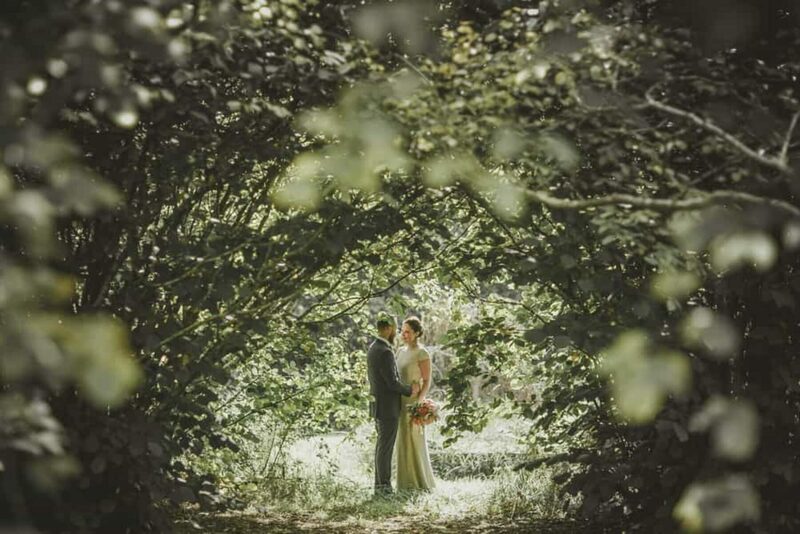 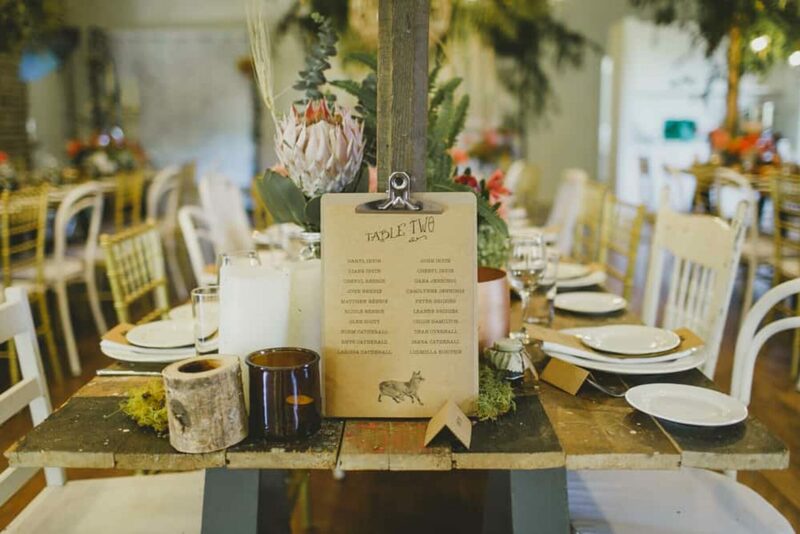 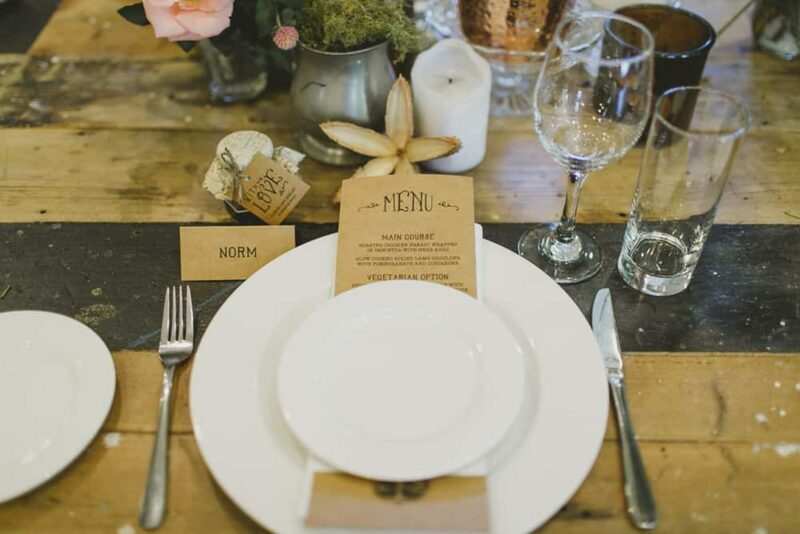 These two have thoroughly impressed us with their DIY efforts, which included homemade jam favours, woodland-themed stationary, confetti made from biodegradable tissue paper and even Aleksei’s cufflinks – old roof bolts from his beloved Land Rover!